At Pipeline Drainage Solutions, we employ the best, qualified engineers who have a broad range of knowledge on all things plumbing and drainage. 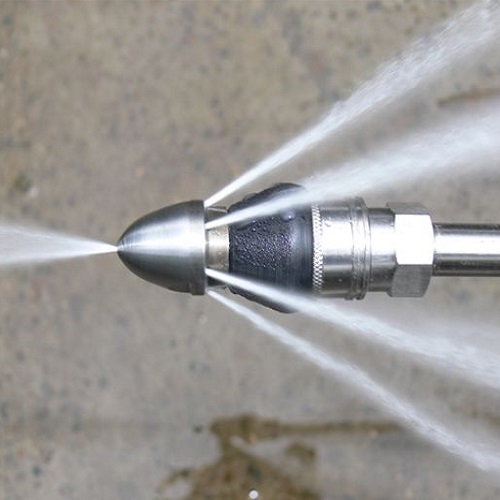 We have a wide range of services on offer including the use of drain jetting in Neewcastle and the surrounding areas. This service is used mainly to clear and unblock drains in order to resume a healthy flow within your plumbing. Drain jetting will break any stubborn blockage into pieces in no time. There will be no disruption to your property while clearing any build up using drain jetting equipment, and it will work regardless of the cause or location of the blockage. Prior to and after drain jetting, a good drainage professional will always perform a CCTV drain survey – this is to ensure that the drainage system remains undamaged. If you require drain jetting in Newcastle or the surrounding areas, give the team a call on 07400389306 to discuss your requirements. Click here to view our range of drainage services. A plunger or a snake may only temporarily clear a blocked drain as they tend to only partially clear a stubborn buildup. Because the problem was only partially addressed, it stands to reason that the blockage will be repeated at some point. This is where drain jetting in Newcastle differs. The blockage will be fully removed no matter what the site, whether it’s the toilet, sink, bathtub drain or the shower. In main sewer lines, this is the technique favoured by drainage professionals. There’s More to Them Than Simply Unblocking your Drains! In addition to drain unblocking, high pressure water jetting technique also helps to clean the drainage pipes from within without digging up the ground. Your drains will operate at optimal flow once more, as high pressure water jetting will remove fatberg, any deposits, dirt or any other type of sludge within the system. In high pressure water jetting, the water is streamed at very high pressure (up to 6000 psi) that it doesn’t just clear the sludge, debris and build-ups but also wash away the inhabitants of bacteria inside your drainage pipes. During high pressure drain jetting in Newcastle, no chemicals are used. This means that this drain cleaning and unblocking technique is completely environmentally friendly. It’s a fast way of cleaning pipes and removing clogs without the need for excavation. High pressure water jetting in Newcastle is far more effective technique than other drain cleaning techniques. The powerful water stream can cut the roots, wash away debris and clear slit or any other obstruction inside the drainage pipe to make it fully clean from within. The equipment is customisable for the job, as you can use different sizes of nozzle. It’s important for the drainage professional to consider the potential for damage to the drainage system, as well as considering the diameter of the diameter of the drainage pipe.